If you’re going to love, love like you mean it. Tell that person you care. Look them in the eyes. Kiss them with passion and a fearlessness that bubbles up from your chest. Don’t wonder whether or not they feel the same energy. Don’t stress over what you have right now, and whether it will grow. Don’t be afraid of the way life is imperfect and fragile. Just love. 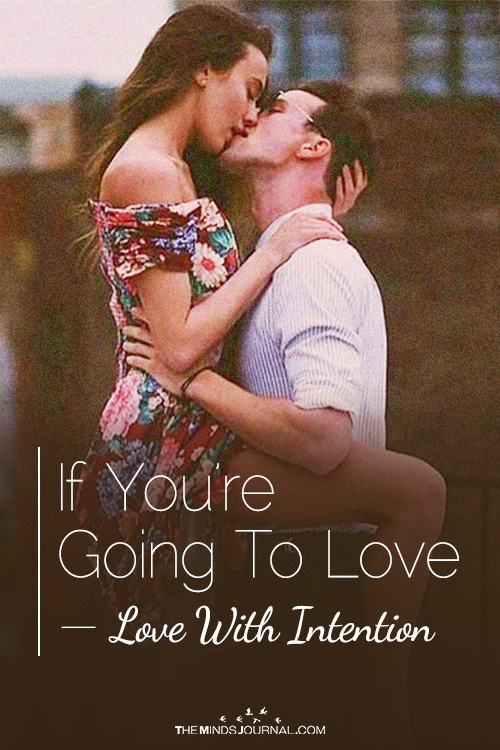 If you’re going to love, love like tomorrow won’t come. Like this next day, next hour, next second is all you have. Like the person standing in front of you is the best damn thing you’ve ever seen. If you’re going to love, love like there’s no one else. Like you can’t get enough of their touch, their smile, their laughter mixing with yours. Love like you’ve never even considered a life without them, and believe that they too have wished the same. If you’re going to love, love like you’ve never been hurt. Like you’ve never experienced the pain of a broken heart, or the dishonesty in someone’s voice. Like you’ve never watched a relationship fall apart, or two people who once had a passion for one another fade into the sky like old, burnt out stars. If you’re going to love, love with a ferocity. Love like it’s all you’re meant to do, because in all honesty, what else is there? Give the person you care for your whole heart. Give them your hand, your smile, your soul. Show them who you are beyond the layers. Get vulnerable. Get messy. If you’re going to love, love with eagerness. Show your person you’re there, you’re listening. Be present when they need you, and make plans for when you’ll see each other next. Be invested, be interested, be excited. Show them, in every possible way, how much they mean to you. If you’re going to love, love with purpose. Love with all that you have, all that you are. Love, even when the world makes it difficult or says you should give up. Love through your actions, your words, your choices. Choose to love your person, no matter the ups and downs. 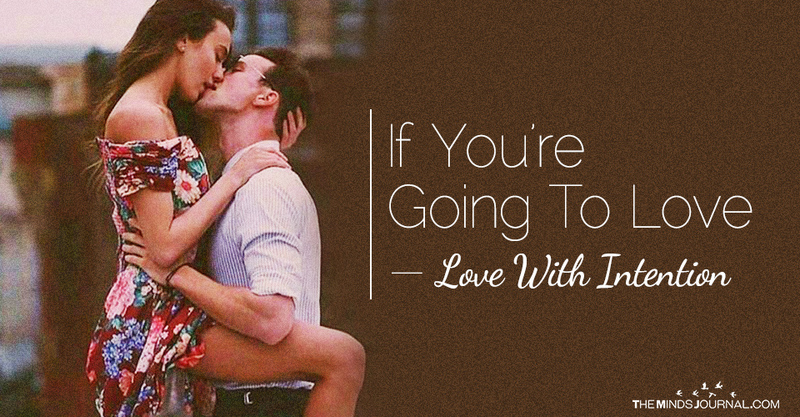 If you’re going to love—damn it, love with intention. Don’t half-love. Don’t ‘almost,’ or ‘kind of’ commit. Don’t waste time giving only portions of yourself so you both miss out on the real thing. Don’t lose what could be by playing victim to your fear. If you’re going to love, just do it. Just love and love and love. And never stop.